Lets use an analogy. In this case, lets compare a dedicated server to a car. More specifically, your parents car. You’ve just turned the legal driving age and what’s the first thing most new drivers want to do? They want to ask their parents to loan them their car so they can go pick up their friends and drive them around. However, your parents car comes with stipulations. No eating in the car. No playing music loudly in the car. No more than 3 people in the car at a time. You have stipulations placed on what you can do with the vehicle since you do not own it. You’re sharing the car with your parents. So lets fast forward a bit in time here. You’ve saved up enough money to purchase your own vehicle. No more not eating in the car. In fact, the first thing you do is have a big fat juicy burger from your favorite restaurant and eat it in your car with the music blasting at full volume. Now that it’s your car, no one can tell you what you can and can’t do within it. Sticking with the car analogy we started in the previous section, let’s list some of the advantages of owning your own car. You no longer have to ask people for rides. You set your own rules of what is and is not permissible in your vehicle. No more waiting on public transportation. You go to an event and want to leave early? You can hop in your car and leave whenever you see fit. Now let’s translate that into some of the advantages of a dedicated server. You wake up one morning, have your coffee and check your email. Upon checking your email you notice that you have hundreds of notifications about a brute force attack on your server. You immediately login to your server and blacklist the offending IP address. Upon further investigation, you find that one of your sites has been the target. Hackers are attempting to access the site to upload exploited code to your website. You reach out to your senior security engineer and have them give the website a thorough looking over. Your not engineer informs you that he needs to perform a security audit on the entire server. He shuts down password authentication to your server and makes it so that users need to have a key to access your server. The engineer then adjusts the limits for how quickly an IP will be blocked after failed login attempts. A malware scan is placed on the server and set to run every day. As you can see from this example, security is another large advantage of having a dedicated server. You can tighten the reins or loosen them on your server at your own discretion. You can customize your server to fit your needs which brings us to my last point. Continuing with the example from the security section, you have the ability to customize your server. Whether this be your firewall or installing new software onto your server. You can install backup software. You can reformat the server and install a different operating system. You can change your control panel to anything that you may like, such as cPanel, Plesk, etc. Taking this further back up to the performance section of having your own car, you can customize the car to fit your needs the same as you can do with a dedicated server. Hopefully now based off the sections above, you feel a little bit more at ease about dedicated servers. In fact, if you’re looking to purchase a dedicated server, you should head over to http://turnkeyinternet.net/dedicated-servers/ and check out our *BEST VALUE* dedicated servers. Businesses are moving their IT infrastructure to the Cloud every day – phone systems, virtual desktops, office servers, and lots more. But when your business is making that transition to The Cloud, why are there there so many options that look the same but with different names like “Cloud Servers”, “Virtual Servers”, “Dedicated Servers”? Which is the best solution for your business – and what is the difference? First, lets define “The Cloud.” The cloud is a scalable, reliable and cost-effective way of accessing information technology at any time from anywhere. The technology of the cloud revolves around the benefits of moving expensive and complicated IT out of your office into an efficient, scalable, and secure datacenter. 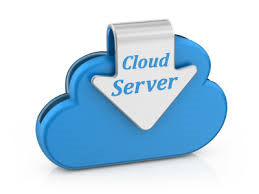 So if you are looking to move your office server into “The Cloud”, you are essentially looking to host the office server in a datacenter, and use the Internet to connect to it from any where, any time. A Virtual Server (also called a Virtual Private Server, or VPS) is the term used for the server and software that runs on the same physical server as other virtual servers and is functionally equivalent to a separate physical computer dedicated to the individual customer’s needs. A single high capacity server in a datacenter can host 10 or more Virtual Private Servers – such that each client has their own privacy, computer resources, customizable operating system and software. The virtual server model is a more power and cost efficient method and provides an easier to manage and generally more reliable computer server infrastructure than say hosting the same application on a typical server in your office. A VPS will be your lowest cost – easiest to use, option in most cases. If you need a lot of computing power, or resources (disk, network bandwidth, etc) – your costs can go double or more very quickly. The down side is your VPS resides on a ‘shared’ resource (that dedicated server that is split up between 10 or more other VPS clients). So there can be times when you have trouble getting all the performance you may need, and scalability is limited (you may be able to increase ram or bandwidth double or more from your initial machine, but costs shoot up quickly as you do so). But the VPS is easy to manage, you don’t have to worry about hardware generally since the server that your VPS is housed on will typically be a very high end server with built in redundancy. But it is still a single point of failure, which can have several hours of down time should your provider have to do maintenance. 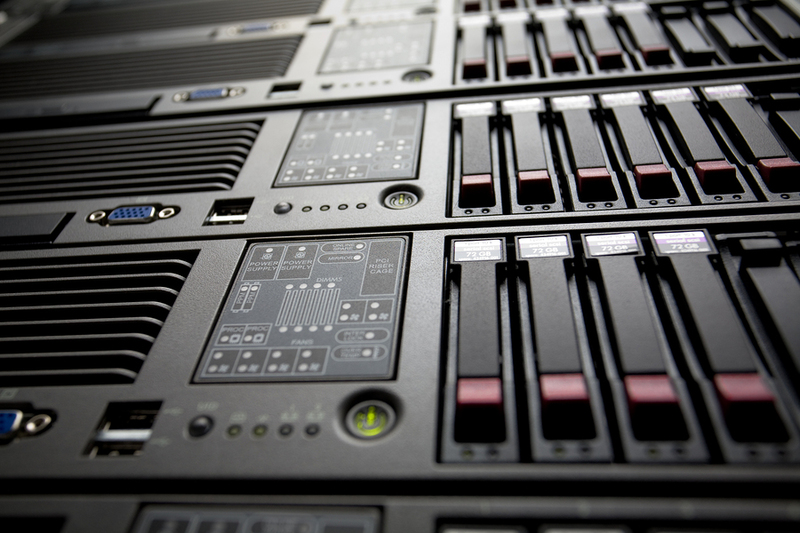 A dedicated server has all the same benefits of the Virtual Server for privacy, and custom software, but costs more since you have all the resources dedicated to just you (even when the system is idle, its using up electricity, so your costs and efficiency aren’t as optimal compared to a virtual server). But the dedicated server does offer a high level of performance, and for a busy application (say a phone system that connects 500 employees across 3 regions of the country) you will find the dedicated server is your best value when you need the maximum level of computing power. A dedicated server will actually be your best performer, and best value if you have a highly demanding application that needs a lot of computing power. You can have access to 24 or more CPU processing cores, and 256GB+ of RAM if your budget allows – and it’s a lot cheaper than getting the same computing power versus a Cloud based Server. The downside is the single point of failure, and additional administrative efforts needed to maintain a dedicated server. Make sure you selected a dedicated server from your provider that includes management, backups, and guaranteed response times if something goes wrong. So what works best for your business? Give us a call an we will help you choose the best one. At the end of the day, all 3 get you ‘in the cloud’. 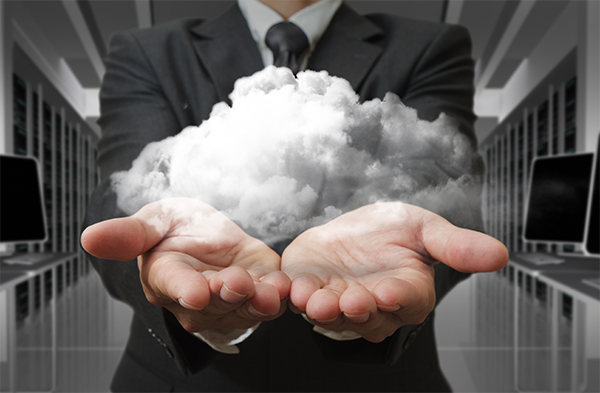 Choosing to host your company’s IT infrastructure and data in the cloud is no easy decision. However, the number of advantages that the cloud offers you and your business can make this change well worth it. The cloud is able to offer you many more features and guarantees for your data than you typically have in your own on-site or in-office server room. 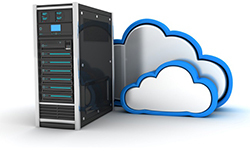 Let’s take a look at some of the advantages hosting in the cloud will provide. This is one of the first things cloud vendors will tell you, and they’ll be right. Many laptops are not safely protecting data with the appropriate encryption. Data is sent here and there and it’s lost here and there. Cloud encryption protects transmitted data every time. And then there’s the obvious data loss issue. How many hard drives need to fail before we all recognize the incredible peace of mind cloud storage can provide? Cloud hosting varies in its security offerings, so look for a host that offers secure firewalls and robust backups. Centralized storage makes it easier to monitor and control your data. Yes, this does mean you’re putting all of your data eggs in one basket, but as an IT professional I would much rather know where my data is and focus my security efforts on that location than spread my data all over the place and hope for the best. Besides, “all in one place” doesn’t have the same meaning for cloud servers. Cloud networks are mirrored so data is safe, regardless of what might happen to a single machine. If a cloud server is compromised, it’s a matter of seconds to restore all of the lost data from backups. This means you have no downtime, ever. You can restore data remotely, from anywhere, and with your robust cloud monitoring, you’ll know the second a problem arises. With all of your data in one location, you can easily assess the problem and fix it. Logging is often overlooked, or it’s an afterthought and this means you may not have enough room allocated for your logs. With the cloud, you can index your logs for instant search results. This is true real-time view of your information. If your company is concerned with establishing a server audit trail, you can easily opt-in to allocate resources for extended logging. Security vendors are more accountable when their clients are more vigilant. The security concerns so many of us have surrounding the cloud have made many security software companies step up their game. They’re not only making their software more comprehensive and robust, they’re making it more efficient. Cloud clients are watching their billable CPU cycles. They know how much it’s costing them to run software. Visibility equals accountability. In the end, if you’re concerned about the security of your data, cloud hosting is the best possible option. Best of all, it is designed with businesses in mind—providing the kind of security and accessibility that has never been available before. In addition to all that, it’s cheaper and more efficient than housing your own infrastructure in-house. At TurnKey Internet, we offer hosting solutions that leverage our enterprise-class infrastructure and award-winning staff to take care of your online business needs. We provide the servers, the network, the data center, and the expert staff to manage your services to ensure that you can focus on what you do best – running your business. With Cyber Monday deals as big as 95% off for life, now is the best time to try our Cloud Services, Virtual Servers, Dedicated Servers, Web Hosting, Colocation, and more! Enterprise Grade Dell PowerEdge Servers, featuring Dual Intel Xeon Octa-Core or Hexa-Core CPUs, with up to 256GB RAM, and blazing fast SSD’s! Our Cloud Servers offer the highest level of service and the ultimate combination of performance, value, security and ease of use for your web hosting needs. 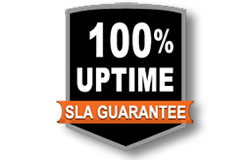 Every server is backed by our industry leading 100% Network and Power Uptime Guarantee and includes our unconditional 30 Day Money-Back Guarantee! TurnKey Internet stands apart from the crowd with fast and friendly local expert assistance 24 hours-a-day, via Phone, Live Chat, and our online Helpdesk. 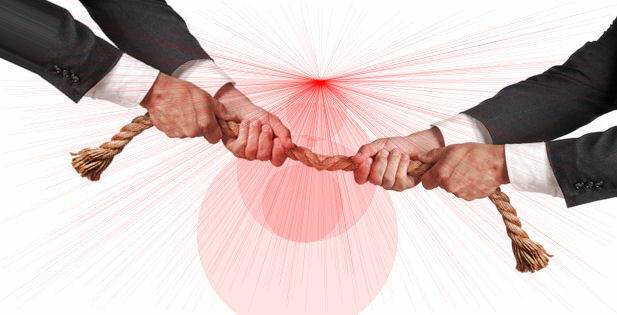 Negotiation is both an art and a form of war. On nearly a daily basis I find myself discussing with a potential new client reviewing our Cloud Server offerings that makes a general statement that the price is too high and could we match another offer they found on the Internet. Often these requests are inclusive of a generic statement that they saw a lower priced offer on social media web site or forum from a competitor that may or may not be named, and may or may not even have a specific online offer, but our potential new client insists we should match the deal to earn their loyalty. It’s not unheard of for someone to try and negotiate a deal, and sometimes people may bend the facts of a competing offer to see how far they can push a discount or deal – after all we are living in a Black Friday ‘discount’ society now – year round bargains, and a good deal is front and center in just about any discussion between a customer and a business. Deals are not just about TV’s and electronics any more – Cloud Services, IT Services, Internet Access – its more and more common to ask for a deal these days on everything,. Sun Tzu’s ‘The Art of War’ suggests “Supreme excellence consists of breaking the enemy’s resistance without fighting.” – and closing a sale when a potential client looks to you to match their perception of a good deal can be a real battle. When I see these types of requests I seize the opportunity to showcase what I’m bringing to the table, and that few if any other competitor can come close to the total value being proposed. When I hear a potential client asking if I can “match their price”, I focus on asking the potential client if their other offer can “match what our service provides”. My response usually looks like this. A money back guarantee, in writing – do they stand behind what they sell with a written policy? A 100% Service Level Agreement (Uptime, Network, Security, and more) in writing to guarantee your business? Do they Answer the phone – Pick up the phone right now, dial the phone number, does a real person talk to you within 60 seconds? Do they use latest Cloud Technology (watch out for vendors offering cut-throat deals using insecure, or outdated technology like OpenVZ based Clouds). Do they have 3rd party verified reviews about their product / offer or company – including BBB report cards, and public audit / certifications. Do they own, operate, and maintain their own Datacenter, servers, stoarge systems, staff, and infrastructure – or are they just a wholesaler or middleman between you and the people who do the work? Does their offer include Backups at no additional charge? Do they offer free Cloud-Migration assistance ? While I am not personally familiar with the competitor / offer you mentioned – can they match what TurnKey Internet is offering you in this proposal? Can they match what we offer – and will they agree to match the quality, service and price that we are offering? I understand that you always want the highest confidence in the online partners you choose, and I assure you TurnKey Internet is committed to your online success in every way possible. I assure you that once you add in the entire scope of our proposal you will see that the our price is not only the best, but the total proposal is the best fit for your long term Cloud Services needs. While some potential sales negotiations can’t be swayed to avoid the ‘price match’ war, the ones who see the value are the clients that will be there for the long term when you deliver what you promise. The key is to showcase what you bring to the table – that sets you apart from the competition. For those who remain price fixated who may choose a different path they may still find their way back to you eventually thanks to leaving them with the positive aspects in mind. 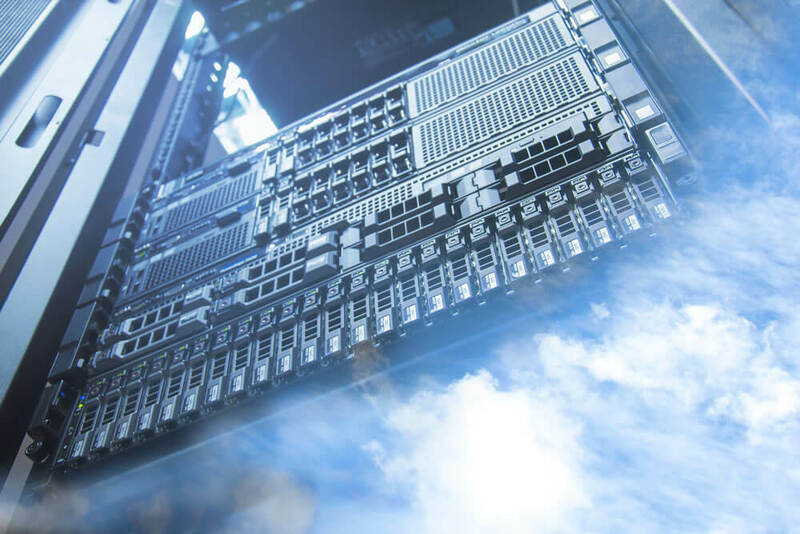 Sustainable IT solutions provider TurnKey Internet, Inc. announced that it has launched their all new high-performance enterprise-class cloud server platform powered by Intel’s E5-2650 v3 Deca-Core Multi-CPU Processor technology. The newly launched cloud hosting platform takes performance, speed, and efficiency to a new level, and provides the newest, most innovative technologies available in today’s market. The Deca-Core Cloud Hosted Server Platform combined with ultra-fast Samsung SSD solid state drives attached via Raid-10 redundant connections provide over 600,000 DISK IOPS (input/output operations per second). Cloud Servers on the new Deca-Core hosted platform come with Un-Metered Gigabit Bandwidth (1000 up x 1000 down) directly connected to TurnKey’s Juniper powered BGP4 redundant network infrastructure. 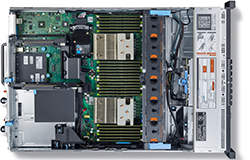 This new cloud server platform offers enhanced performance over typical public clouds and traditional virtual server (VPS) platforms by use of cutting-edge new Intel Xeon E5-2650 v3 Deca-Core (10 CPU Core) 2.3 Ghz Processors – offering 40+ total CPU Cores of processing power to servers on the new TurnKey Cloud Hosted platform. TurnKey’s cloud server platform allows access to instantly deploy and maintain cloud-hosted servers featuring over 100 pre-loaded Microsoft Windows Server and Linux Server template choices hosted within TurnKey Internet’s SSAE 16 Type 2 Certified and ENERGY STAR® designated datacenter in New York. Founded in 1999, TurnKey Internet, Inc. is a full-service green data center and leading provider of sustainable web hosting and IT solutions. From its SSAE 16 Type 2 and ENERGY STAR® certified facility in Latham, NY—New York’s Tech Valley Region—TurnKey offers web hosting, communication services, web-based IT systems, software as a service (SaaS), enterprise colocation services, and computing as a service to clients in more than 150 countries. For more information, please call (518) 618-0999 or visit http://www.turnkeyinternet.net/media. If you are asking today if your business is ready for a Black Friday Rush, it may already be a bit late to change your preparations for this year – but it’s still good to take a look. Online businesses and brick and mortar businesses have a lot in common, they both are trying to capture that surge of traffic around the busiest shopping season of the year. Black Friday got to this place of massive discounts and big glitzy promotions over the last 25+ years due to the basic supply and demand equation. Since the early 1980’s the amount of brick and mortar retail floor space across the United States has increased on average 4% year over year, yet the population has only increased roughly 1% each year. In short, there are more stores and items to shop than 25+ years ago on a per person basis (more supply and less demand). 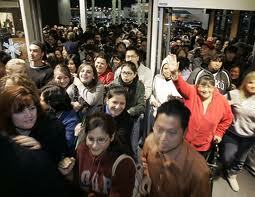 According to Gallup, consumers estimate they will spend just $704 this holiday shopping season, on average. This is down from 2012, when the average consumer said they would spend $770. All this is leading to more businesses competing for customer attention by using glitz, glamor and of course massive discount promotions to lure you in. Black Friday is the big event of the year for many of these retailers – online, and brick, and mortar alike. Online businesses are of course more recent to the ball game than the brick and mortar retail stores – but similarly compete for the attention of online buyers, and often have similar showcased promotions this time of year. Similar to brick and mortar retail stores, the online businesses have to fight that same supply and demand concept to get as many potential clients eye-balling their products and services versus their competitors – and its common to see deep discounts, promotions and low pricing to lure your attention. Planned promotional strategy is the official term in business speak, but the reality for healthy well run businesses is wisely used discounting to bring new and existing clients to the store or web site. It could be that $100 TV door-buster to get you in the store which in turn leads you to spend extra money on accessories and other high profit products (say special audio visual cables that have massive mark ups that help balance out the profit of selling that $100 TV door-buster). Buy 1 get 1 free, 75% off black Friday discounts, super-sized upgrades, etc are all part of a well run business utilizing discounts to grab market attention. 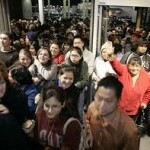 Retail stores run into problems during the big rush for black Friday because literally there are more people than their stores can handle waiting at the doors, too busy a show-room floor for people to browse, and too few discount items (say that $100 TV at the door) to go to everyone who wants one – which can lead to customer dis-satisfaction and even hinder the overall goal which is for the business to make a profit by having the client browse all those high-mark up accessories next to the discounted items. It’s crucial any business be ready for the potential rush. Online businesses are no different, and online businesses have the extra ability to handle larger sudden volumes of transactions as long as their ecommerce system, web site and back end servers can handle the traffic spike during the busy season. The last thing you want to do is be selling buy 1 get 1 free offers, and have your web site so slow that the consumer won’t stay in the shopping cart check out process to browse the profitable add-on items you are using to make up the profit margin. It’s essential to plan ahead, have a fast and reliable web site, good back end cloud-based servers that can scale on demand and provide reliability when you need it most. You don’t want to be caught with all your clients trapped outside the store with no way for them to get in and shop when it counts most, online or in-person at your retail location. So if you are an online store, brick and mortar, or selling via online auction sites – plan ahead and be prepared for the Black Friday Rush. Email Phishing: Is Your Inbox Safe?